Namibia’s economy just like that of South African and Botswana is controlled by white settlers. 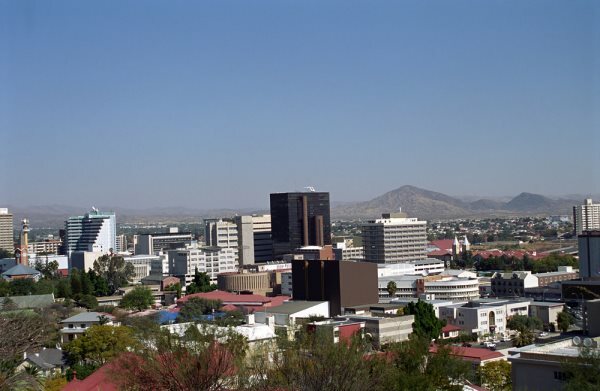 AFRICANGLOBE – White-owned businesses in Namibia are pondering over whether to leave the country or stay and take court action to fight a new government indigenisation and economic empowerment bill which, if approved as expected, would require them to sell 25% ownership to “Previously Disadvantaged Peoples (PDPs)”. Last month, Namibia started public consultations on the New Equitable Economic Empowerment Bill, which would also require all white-owned businesses to cede at least 50% of management positions to PDPs. The bill also prohibits white males from selling such ownership to their white wives, regardless of whether they are PDPs or not. Further, the bill also prohibits PDP beneficiaries from selling any portion of their businesses to white males. It also calls for the establishment of a council consisting of selected Cabinet members and six other persons to preside over the selection of companies, the sales and transfer of shares. The council would be empowered to seize documents and equipment from companies in cases where improper conduct would be alleged. In addition, the council would be empowered to close all businesses deemed to have failed to comply with the law. Top Namibian investment risk analyst and consultant Eben De Klerk told white-owned newspapers that many white business people were considering leaving the country for ‘friendlier’ investment destinations. He said legal consultations had revealed low prospects of success if the businesses community challenged the constitutionality of the bill in court. “We were advised that although a court challenge is possible, it is more likely that the court will respond with a sort to a fall-back argument to the effect that the bill is still in draft format, which means that the court cannot make an order at this consultative stage,” he said. The legal consultants also warned that although the Namibian Companies Act provided several safeguard against expropriation, that was no guarantee of security as government could amend and re-align it with the new empowerment law. De Klerk claimed that if approved, the bill would cripple the Namibian economy. He said businesses preferred Mauritius because they found its flat taxation, high Gross Domestic Product (GDP) and corruption-free business environment more attractive when compared to the “non-enabling” legal, political and economic environment in Namibia. However, the Office of Namibian Prime Minister Saara Kuugongelwa-Amadhila has defended the bill, saying it does not contravene the constitution. Further, Permanent Secretary in the PM’s office, Andrew Ndishishi, said there was nothing alarming with the bill as many other countries had successfully implemented similar empowerment laws.